Hello everybody! Today, given what day it is, I decidèed to do the Valentine’s Day Book Tag that Amy tagged me for last year, which was created by Taiwo at Stuffed Shelves. Onto the post! There’s been quite a few over the years, but one I especially rememeber is Stardust and the Daredevil Ponies. I got it for Christmas, and it sparked my love of the Pony Club Secrets series, which was my favourite as a child. Ooh I’m not sure; it would really depend on the person! If it was just a random pass on a book thing, I think it’d probably be Boy in the Tower, because I can’t imagine anyone who wouldn’t enjoy at least one thing about it regardless of their taste. Some of my other favourites are more subjective and perfect for my tastes, but Boy in the Tower isn’t something in a genre I typically favour and I LOVED it. I’d probably go for a Hogwarts house mug (depending on which they were in/I thought they’d be in!). There aren’t many people who don’t like Harry Potter! DVDs are a go to gift for me! I base which one on the person’s taste, of course, but they’re fairly easy to get hold of and you can find something for just about anyone! Thank you, I guess, and try and be grateful. Then I’d either donate it to charity or regift it to someone I think would like it. I don’t actually think I’ve ever read one? I do quite enjoy reading romance though, so please do recommend me one if you’ve heard of any! Despite the fact I have been blogging for almost two years, I still feel very underqualified to answer this, but I’ll try! -Don’t do things you don’t want to do, or feel pressure to write certain kinds of posts. Be selfish. Cater your content to yourself, and hopefully others will enjoy it too. For example, I used to despise writing book hauls, and so I stopped doing them. I used to feel really guilty for it but now I really don’t! But also, disregard these completely if they don’t fit with what you want to do! My absolute best advice is just to be yourself and do whatever you want, basically! I won’t link to any specific posts/people as I would be sure to forget someine and then feel like a crumb for doing So! 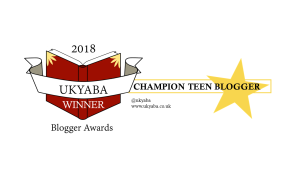 I really enjoy reading all of the blogs I follow, but if you’d like to see some specific people who I have read books because of, you can have a look at this post. A type of post I particularly like is anticipated books posts for each month, as things often come onto my radar because of them! What are your thoughts on these books? Are any on your TBR/wishlist? I’d love to hear in the comments!